East Perth is pleased to announce that our Ball Legend for 2016 will be 1950 Sandover Medallist Frank Allen. Frank was born across the road from Perth Oval in 1926. Growing up in the Inglewood area, he attended primary school with future East Perth captain Frank Sparrow. Frank made his debut for East Perth in 1943 during the war-time under-age competition. The following year, he played in a premiership, however did not play the following two seasons due to military service with the Royal Australian Navy. Frank resumed playing in 1946. 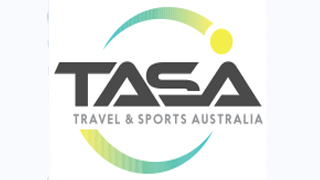 A centreman who occasionally played on the half-forward flank, he played 190 games for East Perth between 1943 and 1956, and also represented Western Australia on 11 occasions, including the 1950 and 1956 Australian Football Carnivals. 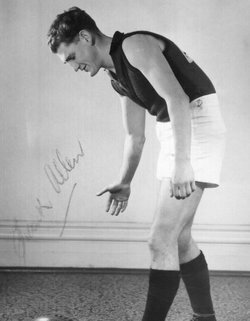 After winning the F. D. Book Medal in 1950 as East Perth's best and fairest player, Allen tied with East Fremantle's Jim Conway in the Sandover Medal. Conway was awarded the medal on countback, but in 1997, the WAFL awarded Allen another medal retrospectively. He retired in 1956 due to a knee injury.